Jailmala Plannerz, Delhi, proudly presents Indo Western Dance Troupe, a group of very talented wedding performers. They will simply rock any sangeet, reception or engagement ceremony. They have provided impressive wedding choreography for many wedding ceremonies across the country. They are passionate about dancing and will perform on your special day with equal enthusiasm. INDO WESTERN DANCE TROUPE - BY JAIMALA PLANNERZ is a wedding entertainers orchestra based out of Delhi . 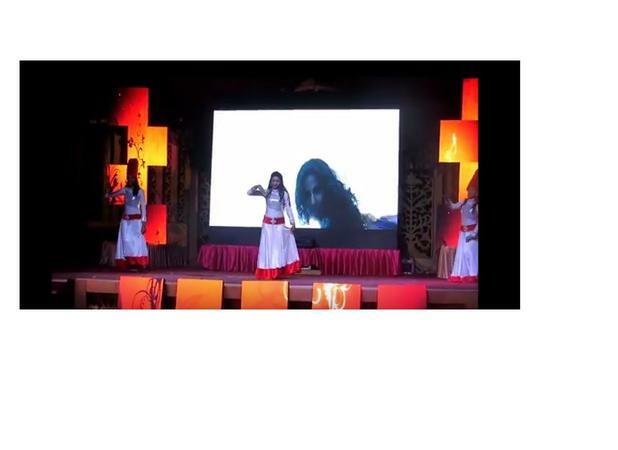 INDO WESTERN DANCE TROUPE - BY JAIMALA PLANNERZ's telephone number is 76-66-77-88-99, address is New Delhi. INDO WESTERN DANCE TROUPE - BY JAIMALA PLANNERZ is mainly known for Entertainment Services. In terms of pricing INDO WESTERN DANCE TROUPE - BY JAIMALA PLANNERZ offers various packages starting at Rs 20000/-. There are 0 albums here at Weddingz -- suggest you have a look. Call weddingz.in to book INDO WESTERN DANCE TROUPE - BY JAIMALA PLANNERZ at guaranteed prices and with peace of mind.